“Splosh! Splosh!” Sea waves gently washed upon the sandy beach. When the sun went down, beside a campfire, Yun Xi was laying in Hua Huo’s arms with a helpless look. “Ooo ooo, how dare the White Emperor control my Little Xi’s body! If he didn’t help you enhance your body as a compensation, I wouldn’t be done with him!” Hua Huo pinched Yun Xi’s hands and feet with a disgruntled look. This was already the tenth time she helped him check his body. Her expression was always bad every time she checked his body, he didn’t know whether it was good or bad. Without the White Emperor Mask, Yun Xi couldn’t obtain the help of this world’s help again. However, the changes that had happened to his body didn’t disappear. Even he himself hadn’t realized that his body had been totally changed unknowingly. If his physical quality when he just arrived in the Water God’s world was one, he was one hundred times stronger than his past self. He could now kill one hundred units of his past self easily, even with his eyes closed. Due to the breakthrough of his “Baker’s” career, his mental strength had also been strengthened, which was already far more than most hero ranked beings. Although the career “Baker” couldn’t enhance his combat ability, it could help him increase his speed of understanding of the rules of the universe. Only the barrier between the mortal rank and the hero rank was still stopping Yun Xi from becoming stronger, although, it wasn’t really a hurdle for him since he had even experienced the power of the legend rank with his body. If he wanted, he could stride across the barrier within three days, becoming a hero ranked Swordsman. However, after experiencing the powers of the legend rank, Yun Xi looked back on his path to power again and ceased to advance consciously. He gave up trying to reach the hero rank for the time being. As a matter of fact, it was also because of the power Hua Huo had shown him, which let him realize what a strong potential the mortal rank still contained. After seeing the tip of the iceberg of the legend rank, he found that all the legend ranked powers he had ever seen had a similar feature. Hydra, the Water God, the fantasy creature overlord, the nine headed demon snake, as long as her nine heads weren’t being chopped off at the same time, she was immortal. Shaya Longnis, the tenth Sky Sword, the child of the slime race, the slime who had thousands of avatars, as long as there was still a slime living in the endless god’s domains, she wouldn’t be killed. If the reason they entered the legend rank was because of their specific race, then the other two legends were totally different. Casina, the sixth Sky Sword, the Battle God, the human who had entered the god’s realm, the super martial artist who beat Shaya Longnis to death. And the oldest Sky Sword, who just appeared for a moment but judged three legend ranked beings in an instant. The four legend ranked beings had all exposed powers that were similar to the essential rules of the world. Shaya Longnis’ power and Hydra’s power tended to be race specific; Casina’s power and the oldest Sky Sword’s power were close to the law of heaven and earth. Maybe they were just different forms of expression of the same power, because they were all powers that sprang from the basic rules of the universe. 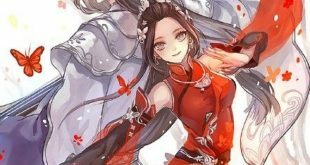 “Hua Huo, if I wanted to reach the legend rank, is it a ‘must be’ to master a godlike skill?” Lying on her knees, he suddenly asked. “To humans, mastering a Godlike skill is indeed the best way to open the door of the legend rank, however, it isn’t the only way. If you can arouse your oldest bloodline power… oh…” Hua Huo suddenly realized that Yun Xi’s bloodline couldn’t be as good as her Sky Flying Bloodline, so she immediately changed the topic. So, godlike skill, bloodline and artifact were the three essentials that can help me reach the legend rank. Yun Xi silently remembered this information. There were also the things countless people wanted to obtain in the endless god’s domains. Arousing his oldest bloodline, mastering a godlike skill, or obtaining an artifact. If he wanted to open the door leading to the legend rank, he must obtain one of the three “keys”, otherwise, it would be just a waste of time no matter how hard he tried. In fact, the three keys all pointed to some certain rules of this world, they could be considered as the instantiations of these rules. Hua Huo, Hydra and Shaya Longnis were born with one of the keys. When they grew up, they could naturally enter the legend rank. Casina created a godlike skill using her own power and wisdom, then opened the “door” using her godlike skill as the “key”. As for the oldest Sky Sword, her artifact, the ice blue sword was impressive to him. He guessed that she may have entered the legend rank by using her sword. After all, the ice blue sword could even beat down the White Holy Dragon, the Water God and the tenth Sky Sword. Undoubtedly, it was the strongest artifact he had ever seen. Although it was for just a short time, when he was holding the ice blue sword, he had a vision that he could cut open the entire Water God’s world at that moment. What a delusion! No, it was probably not a delusion. The ice blue sword really could break stars and cut open the void. “This is really a big big world.” Stretching out his hand, Yun Xi looked at the clouds through his fingers. In the sky, he vaguely saw a silver masked figure smiling at him. It was Hydra’s avatar, who just wore the silver mask and replaced his identity, walking in this world as his substitute. Now, there were two White Emperors in this world at the moment. The figure who replaced his identity in this world and helped him carry everything on his back. The young boy who had just returned to his childhood sweetheart and would embark on his journey and new life. They were both the White Emperor!